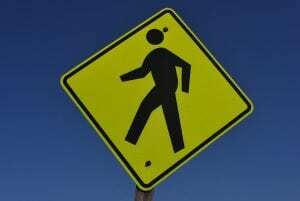 Huntington Station, NY (April 13, 2019) – Police have identified the driver who was involved in a pedestrian accident that led to critical injuries. According to police, the pedestrian was crossing New York Avenue just north of West 11th Street when he was struck by a Honda CRV that had been traveling southbound around 9:00 p.m. The victim was quickly taken by medical helicopter to the Stony Brook Medical Center in critical condition. His identity has not been released. The driver of the Honda, however, was identified as 52-year-old Jose Rodriguez. He was not injured and remained at the scene. Pedestrian accidents are known for being some of the most devastating accidents that take place on our roads due to the fact that they involve vulnerable parties. We would like to take this time to extend our sincere sympathies to the pedestrian injured in this accident with the hopes that they will make a full recovery. Being involved in a New York pedestrian accident can be an extremely difficult time, but you are not alone. Our accident attorneys at Hach & Rose are fully dedicated to your case and helping you receive reimbursement for your injuries after you have been injured. We hope to help you proceed with your claim after you believed all hope was lost. When you are unable to return to work and your bills continue to pile up, it might be time to speak with an attorney. Please contact us at 212-779-0057 to find out what we can do for you.